I took my three oldest kids to the Ontario Science Centre yesterday. That's where you'll find the OMNIMAX® Theatre, where the giant screen is a dome with 13,000 watts of sound being delivered from 44 speakers. It's really something else. 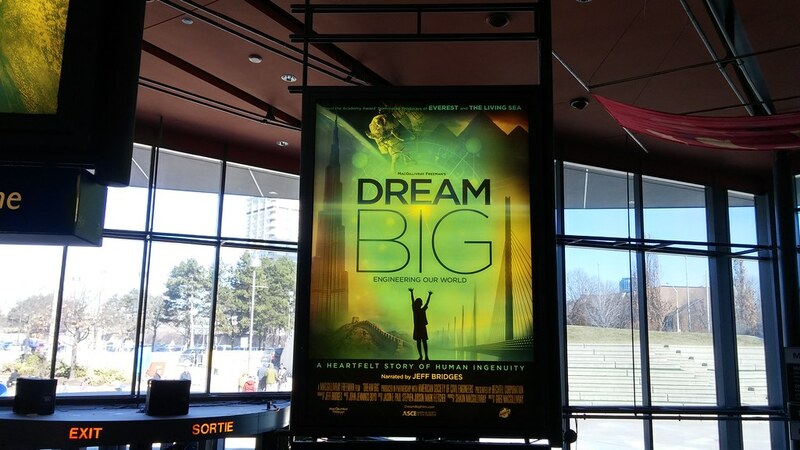 We saw "Dream Big: Engineering Our World", an incredibly inspiring film about how creative and compassionate engineers improve the world we live in. Several stories are shared, each one more inspiring than the last. And as an added bonus, it's narrated by Jeff Bridges. If all goes according to plan, I'll end up with an engineer in the family.... or four. The key is to dream big.